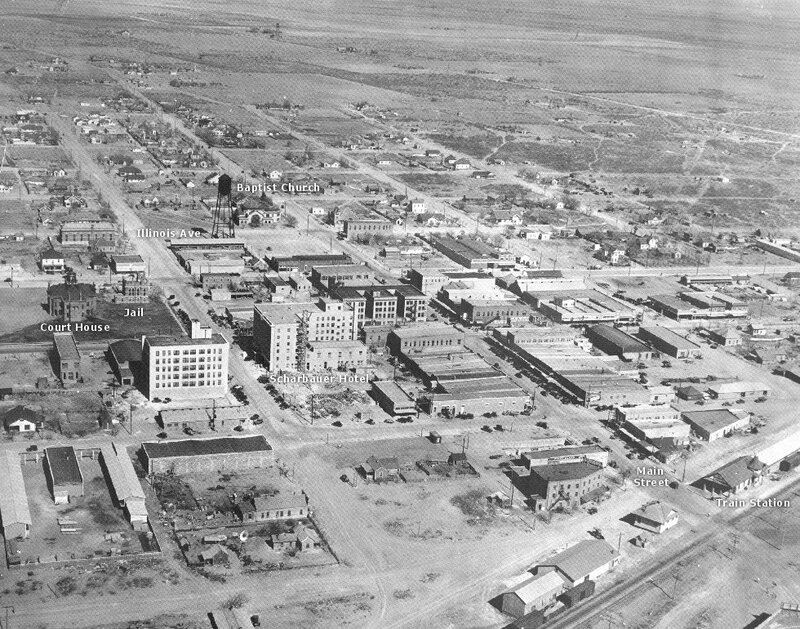 Midland, Texas in 1928, an important year in the development of Midland. As you can see the Scharbauer Hotel is under construction and just to the north of the Court House square, work will soon begin on The Petroleum Building. Both structures were extremely important in the development of the town. The Petroleum Building would provide office space for oil companies who had made important discoveries in the Permian Basin, and the Scharbauer would house visitors in town to make deals.